Julen Lopetegui was sacked by Real Madrid CF yesterday. Lopetegui was in-charge for only 14 competitive games and failed to recreate the magic that he created with the Spanish national side. Santiago Solari has been appointed as caretaker manager until Madrid hunt for a new manager. 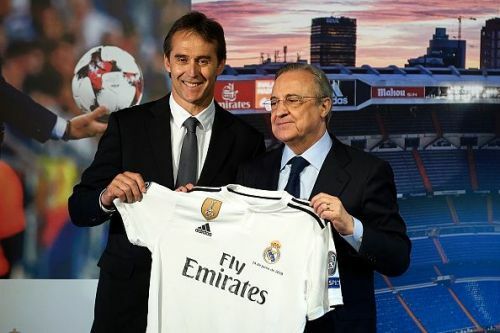 Real Madrid fans heaved a sigh of relief following Lopetegui’s dismissal. But should they really be glad? A little bit of history on Lopetegui. He was the head of scouting for Real Madrid back in 2006. And be glad Real Madrid fans, he is the reason behind the transfer of the only good performer in the team right now. In the transfer window in 2006/07, he landed an 18-year old called Marcelo Viera at Real Madrid. He was the Spain U19, U20, and U21 coach during the years 2010-2013. He mentored the young blood that is almost taking Europe over right now. Isco, Sergi Roberto, David De Gea, Kepa, Thiago Alcantara, and Rodrigo are just a few of the names that he mentored during their teens. When Lopetegui took over the Spanish team from Vicente Del Bosque, he had to revamp the team completely. And he did it in his own way. He stuck with good possession football and instilled his team with young and performing players. Asensio, Isco and Nacho gained a lot of confidence through first-team football at the national team. Therefore, Lopetegui is not a halfwit by any means. If anyone is to blame for Real Madrid’s woes, it should be Florentino Perez. Zinedine Zidane won three back-to-back Champions League titles at Madrid, tough to recreate, but he had the squad at his disposal. Even then, Real Madrid kept kicking good players out including James Rodriguez and Alvaro Morata. Morata was at his best when he left on loan to Juventus. He did enough to return as a first-team player at Real Madrid during his stint at Italy, but no, Madrid didn’t want him back and sent him to Chelsea. James was a great talent, he was shown the door because Kroos and Modric were performing better. If Perez had put his brains into the game and thought about the long-term effect, he should have known. Madrid would have a proper poacher in form of Morata and a great midfielder like James who could always start when Modric and Kroos and underperforming. Cristiano Ronaldo left the team this summer. He recently gave an interview and he revealed Perez’s attitude towards him. Ronaldo went to the extent of saying that Perez was the reason he left. He revealed that Perez looked at him as a liability and never spoke to him from the heart. Also, Ronaldo expressed that he and Perez had only a business relation. This is Cristiano Ronaldo. The best in the world alongside Lionel Messi. If this is Perez’s behaviour with him, then what will his behaviour with other players be? Ok, he didn’t want Ronaldo at Madrid anymore. Perhaps not a bad thought. Ronaldo was almost 33, a club like Madrid would have to look at long-term improvements and for that maybe he needed to go. It is not a sin to oust Ronaldo, but that was almost 50% of the team’s goals. If not replaced properly then it was sure to haunt them. And it is haunting them now. Marcelo is the person who ended their scoring drought. It isn’t his part of the job. 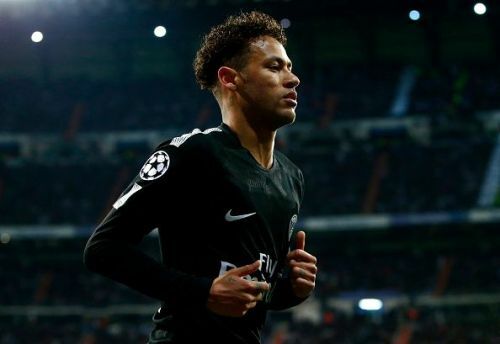 Real Madrid was on a prowl for Neymar but all of a sudden, they lost interest on him. They suddenly changed their target to Hazard following the World Cup. Perez is a businessman, he should know better. Even mere fans like us could contemplate this much. PSG would never have let go of Neymar when he was on song. This was Madrid’s golden chance to swoop him. But then again, Perez preferred form over potential. Hazard had potential and form, but Chelsea would never let go of their talisman, especially when he was on red-hot form. Courtois’ signing was also inexplicable. Neither did Madrid sell Navas, nor was Navas a keeper to be benched. Why buy a top-class goalkeeper when you already have one? One of them had to be benched. And now, both of them are struggling. Navas due to lack of playing time and Courtois due to his late doldrums. Putting Zidane in charge was a perfect roll of the dice. He was good in managing the star-studded squad and rotated well. But he had more options than required. When Lopetegui was in charge, Perez sold a young goal-scorer in Mayoral and of course Cristiano Ronaldo. What was Perez’s big idea? He signed Mariano Diaz out of panic. Just because he needed a #7. Actually, why was a young and talented Mayoral sold? As far as he goes, he came off the bench to score some important goals when Ronaldo was struggling. And Benzema stays. Explains the business mind of Perez. Apart from all this, Florentino Perez has allocated €525m for the renovation of Estadio Santiago Bernabeu. What will there be to renovate if nothing remains at all? The legacy of Real Madrid has already been tarnished by this man. He should use these funds to sign good players, and given how inflated the market is, they have to pour cash in. Instead, Perez is trying to copy Barcelona’s old transfer strategy. Spend a limited amount of players and trust the B team. The signings Barcelona made were pinpoint. David Villa and Dani Alves were some of the names that they signed. Apart from that Barcelona has La Masia, which can be trusted to give one or two first-team players when required. La Fabrica isn’t as well-known as the Masia and neither are their B team players called up that much. At this time, when the market is inflated, Barcelona isn’t holding back on splashing the cash. Also, they are splashing cash where they should. Dembele and Coutinho are a bargain considering their price tags. Barcelona utilised Neymar’s transfer fund to good effect. Perez signed Odriozola, Courtois, and Vinicius for a total sum of about €110 million. 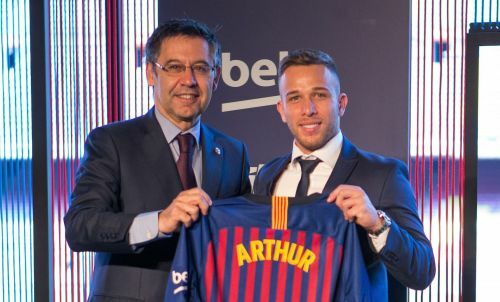 Barcelona signed Lenglet, Arthur and Malcom for a total sum of about €109 million. Who won the business battle? Florentino Perez lost out to the most uncompetitive Barcelona board in years. Apart from all this that Perez has done. He caused Spain a clear shock at the World Cup. Lopetegui and his Spain were a force to reckon with at Russia. They were heavy favourites coming into the contest. However, Real Madrid revealed him as their new head coach one day before the tournament. What message would that convey to the team? They would have a feeling that their coach isn’t dedicated to the nation. Also, the players playing for other clubs, especially Barcelona would not approve him as a coach. RFEF sacked Lopetegui, two days before the World Cup. This cost Spain, big time. Fernando Hierro was nowhere close to Lopetegui in terms of tactics. A team that should have sailed at least until the semis was knocked out in the R16. Who should be held responsible? Perez and Real Madrid should be. Why couldn’t they wait till the World Cup was over? What was the big idea behind the announcement one day before the World Cup? Was Perez seeking attention as he had replaced Zidane with the coach of the World Cup favourites? Real Madrid actually got away with it. The RFEF has an authority to slam a big fine on the club for their immature behaviour, but they didn’t. If Florentino Perez stays any longer, he would only continue to destroy the club. He is halfway through it anyway. It doesn’t matter if Lopetegui is gone or not, he wasn’t responsible for this downfall. Perez managed to destroy three things in a quick span of time. Spain’s World Cup hopes, Real Madrid’s 2018-19 season and Julen Lopetegui’s career. The Madrid fans showed Florentino Perez the door back in 2006. They have to do it again before it is too late. It is a no-brainer. Coming from a true Barca fan who expected a better competition in the El Clasico, given that Messi wasn’t even on the pitch.